Hey, thanks for using BagTheWeb! We are continuously working to improve the site. During the past months, we worked on upgrading our site from low version development language to higher version one in order to improve performances. In the next few months we will release a big makeover to the user interface to make it cleaner and faster, and hopefully make everyone happy. Recently more and more users ask us how to better using Bags for their purpose. Today we start sharing a series of Bagging tips with you. The Bag It bookmarklet is a tool that makes it easy to add webpages and bags into your bags. Best of all, you can use it from anywhere on the web, not just on BagTheWeb.com. If you have installed the Bag It bookmarklet onto your browser, it should work fine now. If you use Chrome browser and find the Bag It bookmarklet does not work. You may go the following page and re-install it. All you need to do is adding a link to a bag, and the video or photo will be recognized automatically and become embedded into the bag. 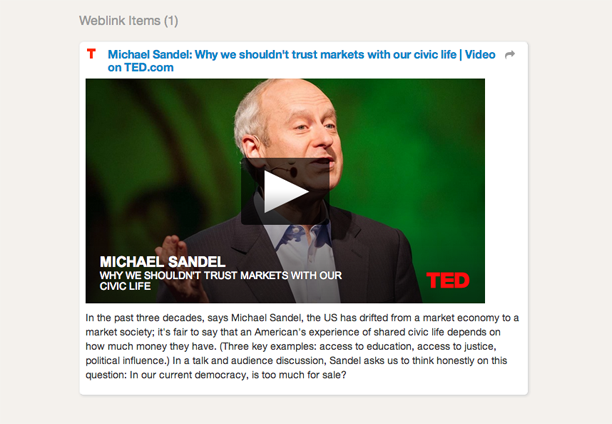 You can also use the Bag It bookmarklet too. 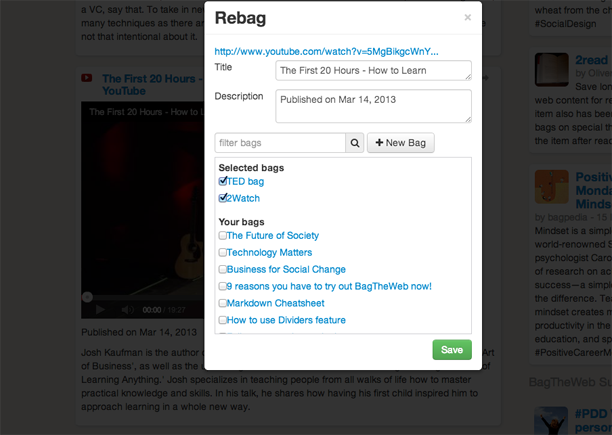 You probably know we have already added a feature called Re-bagging. The idea of Re-bagging is very simple. If you see a link item in any bag, just click the Rebag button below the link. Then you can add this link item to your bags. The following bag guides you in using this feature.